Life Legal seeks medical personnel willing to provide independent evaluation . 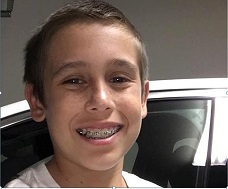 . .
LOMA LINDA, Calif., June 15, 2016 /Christian Newswire/ -- 13-year-old Alex Pierce, brain-damaged in Loma Linda Medical Center, faces tests and medical rulings that may end his young life. His family is desperately seeking a physician or hospital to conduct an independent evaluation of Alex's condition. If you know of medical personnel willing to help, please contact Allison Aranda at akaranda@lldf.org. On Friday June 3, Alex was one of nearly 100 local students attending a pool party at Vista Murrieta High School. During the party, Alex was spotted at the bottom of the pool. Students tried to get the attention of the lifeguards and parents but were ignored. Two classmates finally rescued Alex from the pool. He had been under water for at least 95 seconds and it was at least another five minutes before paramedics arrived and started CPR. Alex went to Inland Valley Medical Center, where he was put on a ventilator and continued to open his eyes and move his arms. He was later transported by air ambulance to Loma Linda Medical Center. An EEG showed measurable brain activity on Friday, and Alex continued to open his eyes. Late Saturday night, Alex began having spasms that were later diagnosed as seizures. After several hours on multiple medications, the seizures ceased. However, after heavy doses of medication, Alex's condition had changed. He no longer opened his eyes or moved his arms. On Sunday, June 5 — just two days after his accident — Loma Linda notified the Pierce family that the hospital would conduct a "brain death" test – the first step toward removing a patient from life support. The family adamantly opposed this test, and Alex's mother requested time for a second opinion before the test. The family is concerned that the test itself, specifically the apnea test during which Alex would be taken off the ventilator for up to fifteen minutes, could cause further injury to Alex's brain. Allison Aranda, Senior Staff Counsel for the Life Legal Defense Foundation, filed a petition on behalf of Alex and his mother and requested an emergency restraining order against the hospital that would prohibit them from conducting the "brain death" exam and specifically the apnea test that would remove Alex from his ventilator for a dangerous period of time. Life Legal also asked the court to order that Loma Linda give Alex nutrition and thyroid hormone that is essential to brain healing and function. As of Tuesday, June 7th, Loma Linda had not provided any food or nutrition to Alex since his arrival Friday evening. The judge mercifully granted Life Legal's request in its entirety. Another hearing is scheduled for Tuesday, June 21st. However, Loma Linda is trying to conduct dangerous brain death test before we even go back to court. The Pierce family needs a physician or hospital willing to conduct an independent medical evaluation of Alex. Anyone with a referral that may help the Pierce family should send the information to Allison Aranda at akaranda@lldf.org. At this time, the Pierce family is holding out hope that their son will respond the life-saving nutrition and hormone treatment that he is finally being given. The family is looking for a long-term care facility that will allow Alex the time needed to recover from this horrific event. Life Legal has located several facilities that are able to care for Alex and give him the time he needs to recover, but these facilities require that Alex have a tracheotomy and a gastric feeding tube. Loma Linda refuses to perform the procedures needed to facilitate the transfer. Life Legal Executive Director Alexandra Snyder commented: "It is absolutely unethical for a hospital to refuse to provide the lifesaving measures needed to sustain this young boy's life. These are common procedures routinely performed by the hospital, yet Loma Linda is denying this basic level of care to Alex." Life Legal is calling on the public to show their support for this family and to demand that Loma Linda do what is necessary to get Alex to a long term care facility. Life Legal Defense Foundation was established in 1989, and is a nonprofit organization composed of attorneys and other concerned citizens committed to giving helpless and innocent human beings of any age, and their advocates, a trained and committed voice in the courtrooms of our nation. For more information about the Life Legal Defense Foundation, visit www.lldf.org.